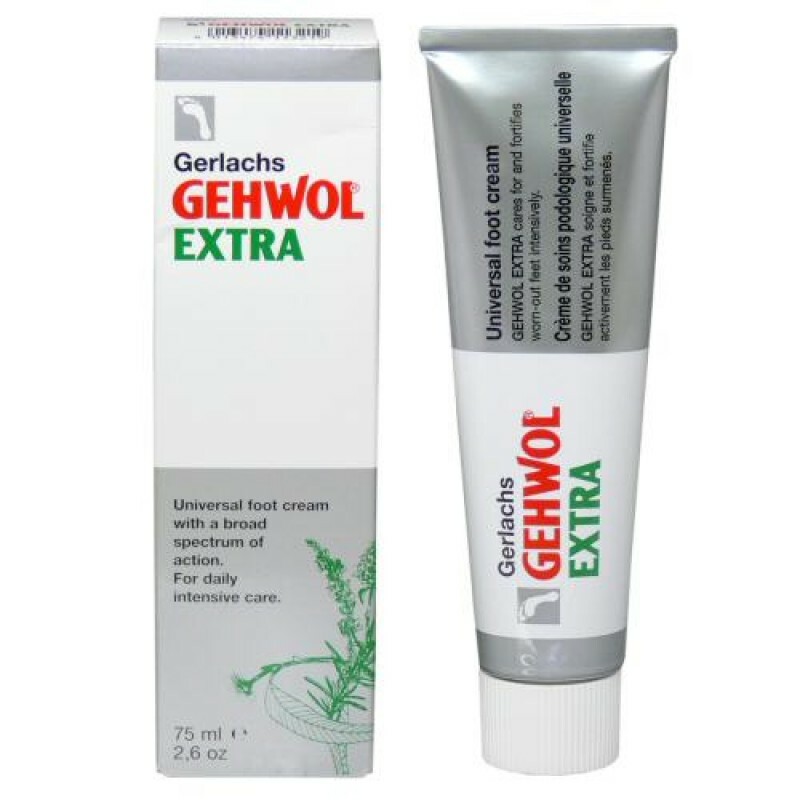 Gerlach's GEHWOL Extra nurtures and strengthens tired feet while killing odor causing bacteria. Natural oils from eucalyptus, rosemary, lavender and thyme invigorate the feet and soften hard, dry skin. The formulation is also ideal for warming cold feet as well as stimulating achey feet due to the presence of menthol. Directions: Massage 1-2cm of the cream into feet daily including between the toes.